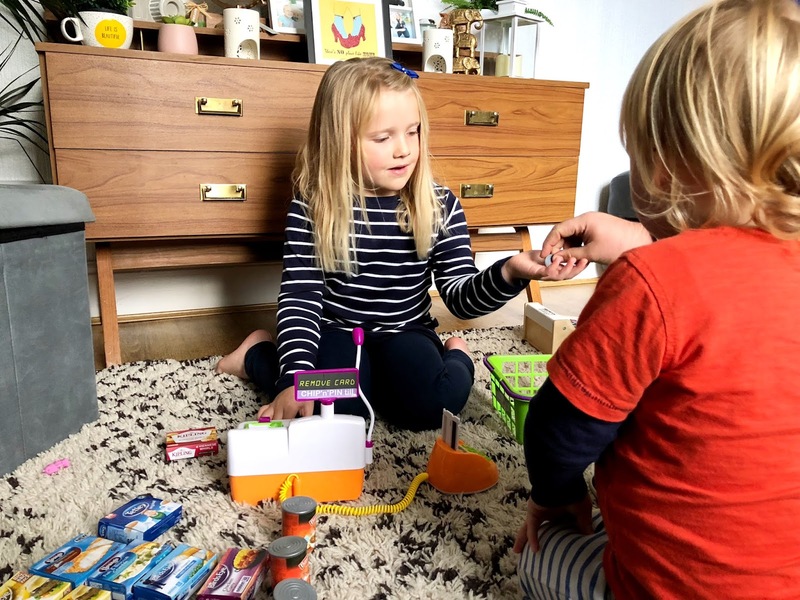 The kids were recently sent the Casdon Chip 'n' Pin Till to review. They're all at the age now where they love to roleplay, and their favourite is to roleplay 'shop keeping'. When they opened up the box, they were super excited. I love how modern this till is compared to the kids old-fashioned toy till. 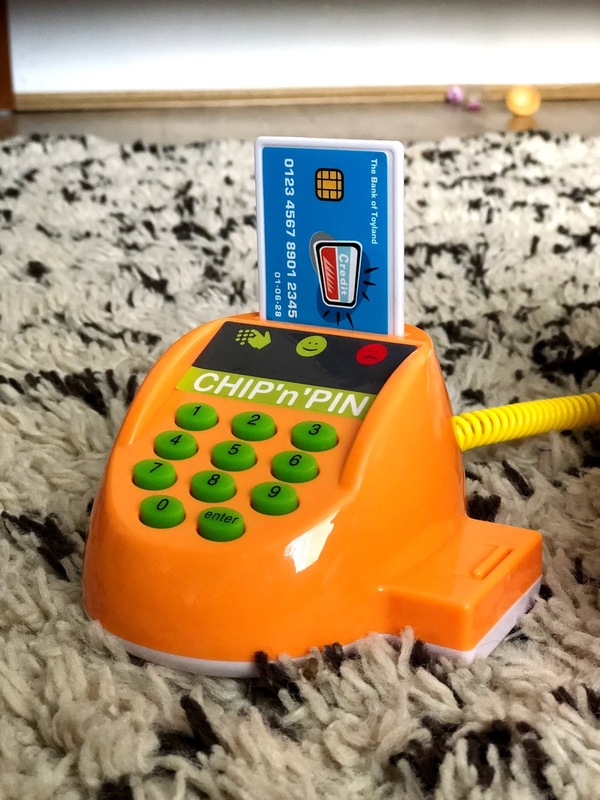 There's a mini pretend chip and pin that has a slot for one of the pretend debit cards to go in. The girls loved putting their cards in while 'paying'. The debit cards have their own pin numbers, which the bell will ring and the unit will light up green when the pin is entered correctly. 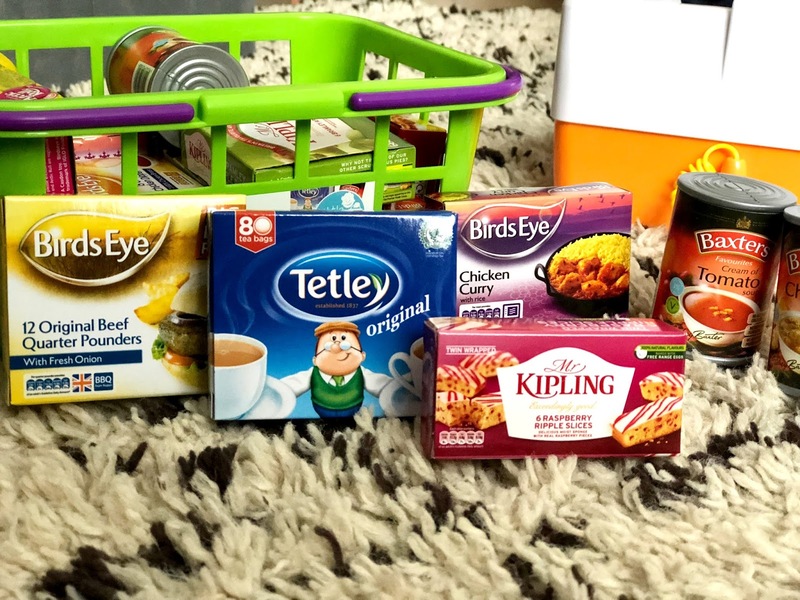 Along with the till, we received the Casdon shopping basket with lots of branded food boxes. 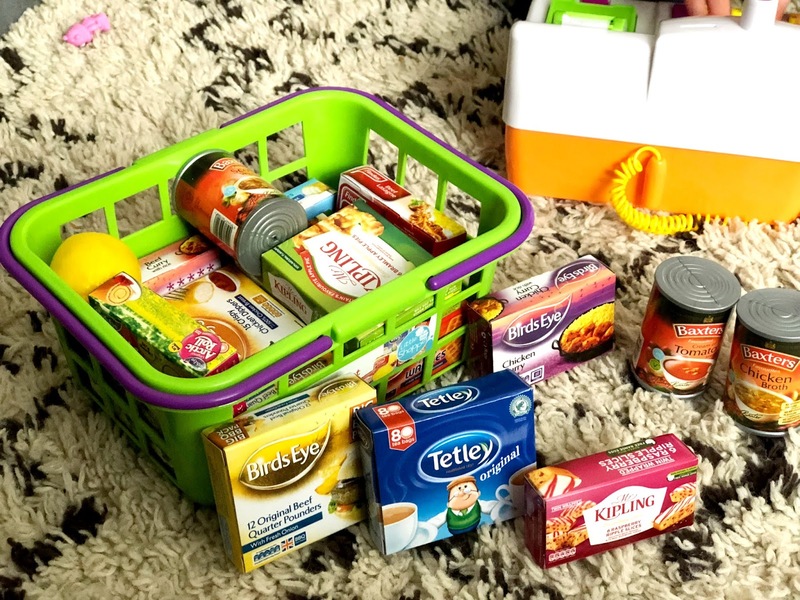 The kids loved that they recognised some of the food boxes. The till also comes with some food bits too, great for playing 'shop keeper'. Not only that, but it also comes with fake money coins and notes too. 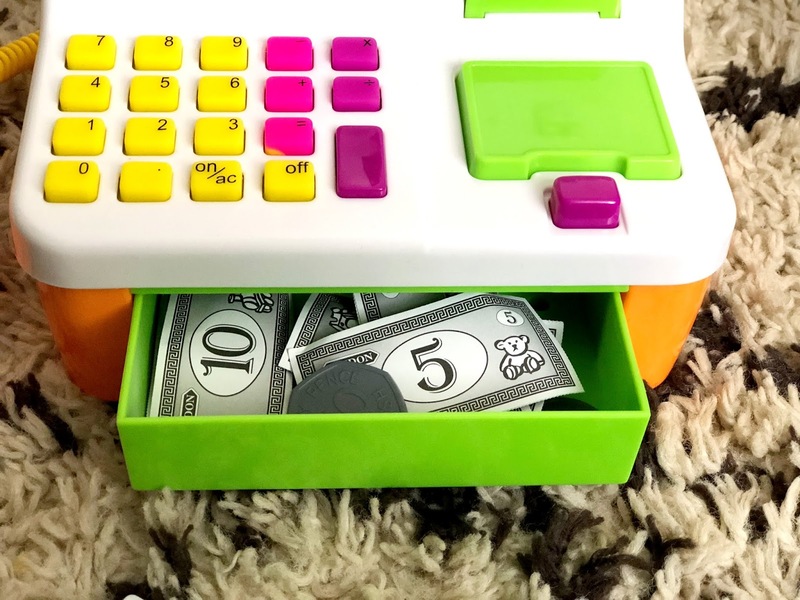 There's a calculator on the till, so not only are your kids playing and having fun, they're learning things to such as small bits of customer service, numbers, counting and much more. 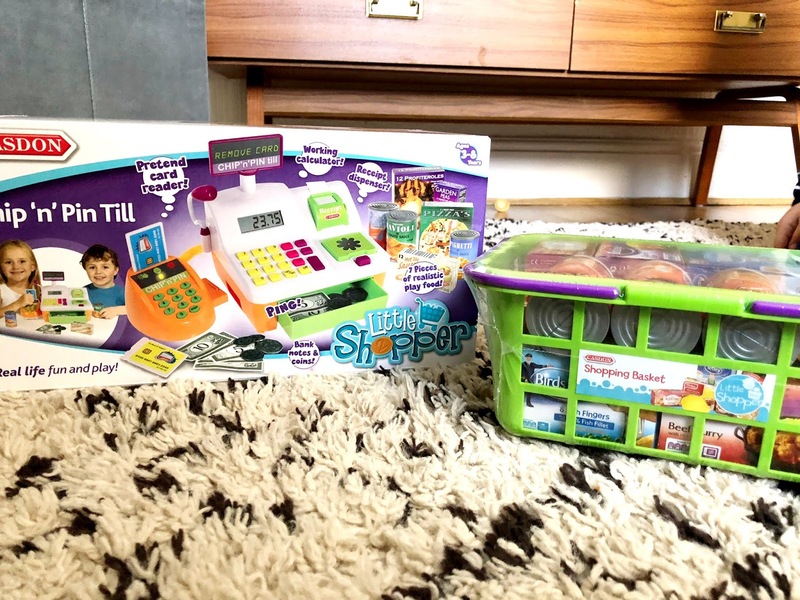 These products are great quality and the kids have had hours of fun with these toys. I will always recommend Casdon products as I am a huge fan of their toys. 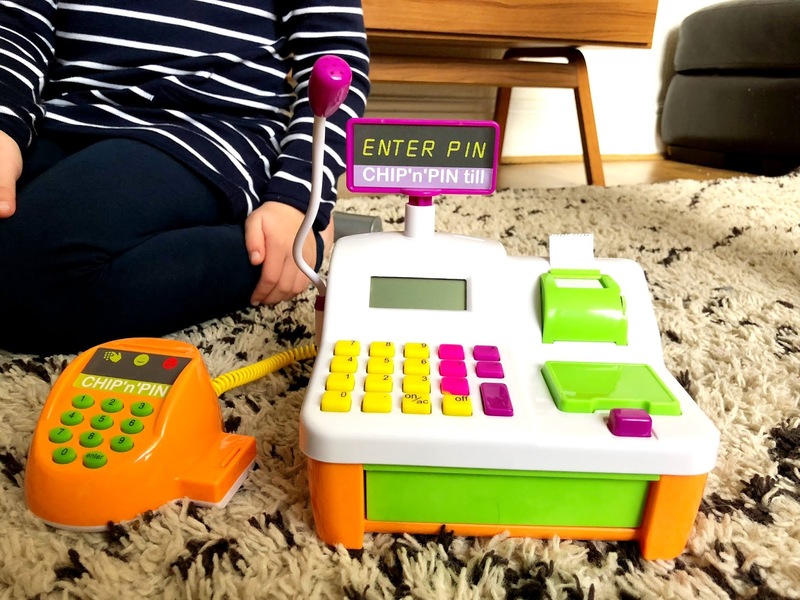 You can purchase the Casdon Chip 'n' Pin Till here.